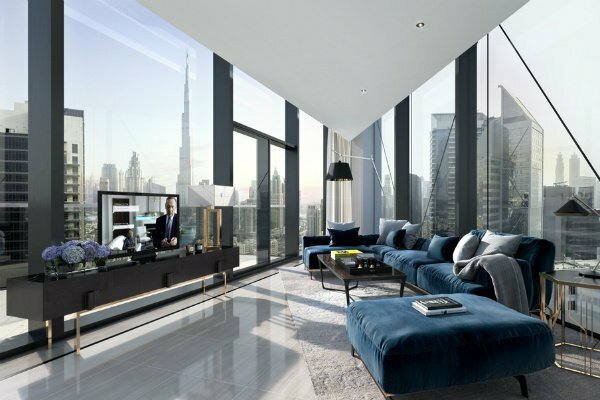 Dubai-based property developer SRG has launched a new apartment complex in the Burj Khalifa Distict claimed to address the area’s shortage of studios. The 383-unit Marquise Square development, in partnership with real estate investor Select Property, will provide 237 studios across its 29 floors. A further 59 one-bedroom, 70 two-bedroom and 18 three-bedroom units will also be available. “There’s a surprising undersupply of studio apartments in the area due to the huge strains placed on developers to provide sufficient car parking spaces. Marquise Square has been designed to address this undersupply by offering residents large studio apartments with dedicated parking spaces for each unit along with many other amenities,” said Adam Price, managing director of Select Property Middle East. Other facilities will include a swimming pool, gym, children’s play area, prayer room, sauna, steam room, restaurant and retail space and 24-hour concierge service.